Scattered. That’s how my brain feels today. And that’s probably how this post is going to seem. First of all, y’all are awesome. I often feel so blessed by the support and encouragement of the people who read my blog, and yesterday’s post was certainly no exception. I read every single comment (except for the newest ones on Facebook, which I’ll get to as soon as I publish this post), and was just blown away by your kindness, and genuinely encouraged both by those of you who shared your own struggle and by those of you who shared your victory over your own similar struggle. Blessed. I just feel incredibly blessed today. I’ll admit, I’m just having a hard week. Our house just has this air of sadness and loss about it (even my cat Peeve seems depressed and walks around the house howling and looking for Powder), and it has been really hard for me to get motivated to do much of anything. 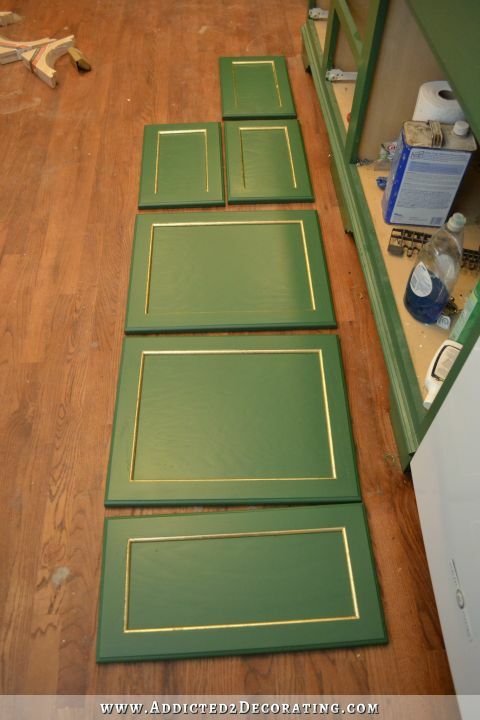 But despite that, I’ve gotten all but one of the cabinets door and drawer fronts gold leafed and polyurethaned. I’m so close to finishing the kitchen side of that peninsula. So close! 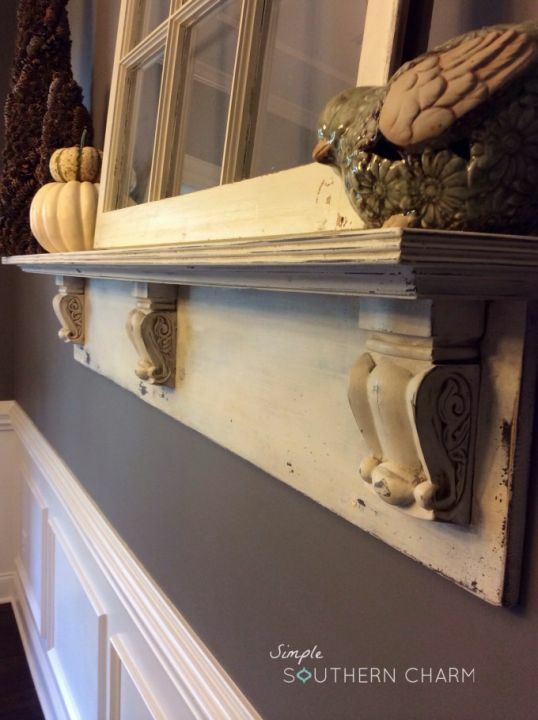 As I was cleaning up in the kitchen, organizing tools and getting things organized so that I could get back to work on the remodel, I came across all of the original corbels that I had purchased, and that were ruined in the rain right alongside my cabinet doors and drawer fronts. I was just about to throw them away, and I just couldn’t do it. I knew there was something that could be done with them, and I just needed to get creative. So we’ll see. But I just can’t bring myself to throw them out. I’m thinking some gallery shelves might look great on the back wall of the breakfast room between the two windows. 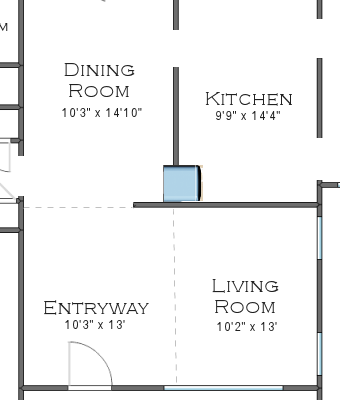 Or if there’s not enough room there, I can do them on the long wall to the left of the door leading to the garage. And speaking of the breakfast room, I’ve gone around and around in my head regarding the walls in that room. I have a very specific look that I want to achieve. I do not want “planked” walls (i.e, walls covered in strips of MDF or regular lumber). I literally want walls that look like wood siding, because that’s what was original to the wall that used to be the exterior of the garage (the original siding is still there), and I want to stay with that look and continue it throughout the entire room just as a subtle nod to the fact that that room was originally an exterior part of the house with a covered breezeway that connected the house to the garage. The problem has been finding siding that I actually like. I came across this at Home Depot, and it seems to be the only siding that’s even close to what I’m imagining that they carry in stock. But I’m just not sure about that texture. 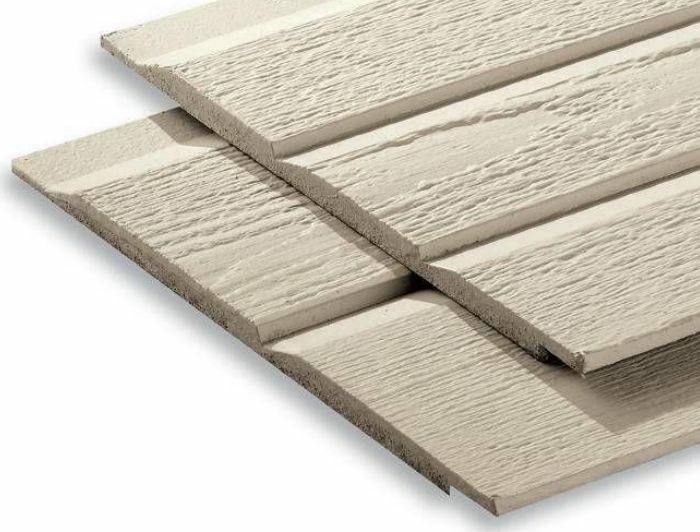 Lowe’s carries James Hardie cement lap siding in stock here. But again with that texture. I just don’t know if I love it for interior use. For exterior use, I’d go with James Hardie siding without question. But do I really want cement siding on my interior walls? That just seems like overkill. I want wood. Real, solid wood siding. But it looks like real wood siding is pretty hard to find around this area. I always get so irritated with myself when I have a clear vision of what I want before I start shopping, because finding that exact thing to fit my vision almost always seems like an impossible task, and then any choice feels like I’m settling. Know what I mean? Hopefully I’ll come across the perfect solution for those walls. Back to the kitchen today. I’m hoping today is the day that I can finally get that peninsula finished. EDIT: Home Depot does carry exactly what I’m looking for, but they don’t sell it in any of their Texas stores, and it doesn’t look like it’s available for shipping. I want this shiplap siding. This is almost exactly like the siding that is original to my house. I’m sure I can find it somewhere else — either locally or somewhere online that’s willing to ship — so it’ll just take some searching on my part. Next Post My Breakfast Room - Shake Siding or Shiplap Siding? I’ll keep my fingers crossed for you being able to finish the peninsula today!! Personally I think you are forgetting how sophisticated your kitchen is and the 4 star hotel rolling doors in the music room. Some how I personally think any kind of planked wall, wood or otherwise will be a disconnect from what you are trying to achieve in the parts of the house that you have already done. Of course I do like the eclectic look but with this I’m just not seeing the combined look. This might be a valid point to consider. Like what you discovered when you tried the sliding doors that were just too rustic and country next to the sophisticated kitchen, I would be worried that you would be in the same place with the wood siding in the adjoining breakfast room. That’s strange…cause here in New England (where it’s popular), regular cedar (and pre-primed cedar) clapboard siding is in EVERY Home Depot and Lowes. It usually comes rough on one side and smooth on the other side so you can use whichever style you want. I wonder what it is that makes them not stock it in Texas? I also wonder if maybe they’d order it for you. Clearly, they have it in their warehouses. It’s not even like they need to find a manufacturer. If the home centers can’t get it, maybe a smaller independent lumber yard can get it? I don’t know if you’d have any of those in your area, but if you do, you might have better luck. You do amazing work and are truly an inspiration to all of us who DIY. Yep, that’s exactly what I want! That’s what’s in part of my breakfast room right now, original to the house. oh my heart aches for your surviving kitty… Our cats are about 4 yrs apart and were not related but they are a male/female bonded pair, I do not look forward to the day they are separated by passing. <3 <3 <3 Our older cat is what makes the younger one more personable. As for the walls- it will hit you when you least expect it. Glad to know Hardi Plank is good stuff though. I understand the hesitation to use it indoors though. I don't think you would be happy with the texture. it's just not random enough, and it's so pronounced. Are there any smaller independent lumber yards that might carry what you are visioning? I agree with you about James Hardie siding. It was perhaps the best house skin we ever had and I really miss it now that we have a Drivit house. But I don’t think it was meant to be viewed up close and personal like in your breakfast room. I have no doubt that you will eventually come up with something great and I’ll enjoy watching your process! Kristi — If they have it in the Overland Park, KS stores I’d be happy to bring it to you the next time I head to Austin. You are so sweet! Not available there either. Hmmm…where the heck do they sell this stuff? Makes me wonder if it’s actually a closeout item at Home Depot and they just haven’t taken it off of their website yet. I agree with Andrea. Check out your local, independent lumber yards. They often have very different inventory than the big box guys. You may well find that their staff are more knowledgeable and are frequently mor pie invested in helping you locate what you need. Have you thought about going to a shelter and adopting a couple of kittens? They would certainly be a distraction! (Only slightly kidding). Losing a pet is a serious loss and it takes time for all the members of your family (other pets included) to adjust. I can empathize with you on your remaining pet grieving……my medium dog had her big sis (my Black Lab) for 10 yrs. and I can tell that she is grieving along with my Hubby and I. Other than showing her more affection than usual and trying to do different play things with her,I don’t know how to help her find her new normal. We have started walking every morning,and it helps ! Wondering why you want the outside siding on the wall………I’ve got to go back and read older posts………one day at a time……. I believe the sap siding isn’t sold in Texas because the hot weather is too harsh for wood siding. I believe it would warp and curl there. Not sure about Kansas, as I’m not sure of the climate there. It is available in Tennessee, however the majority of all siding is now prefab. 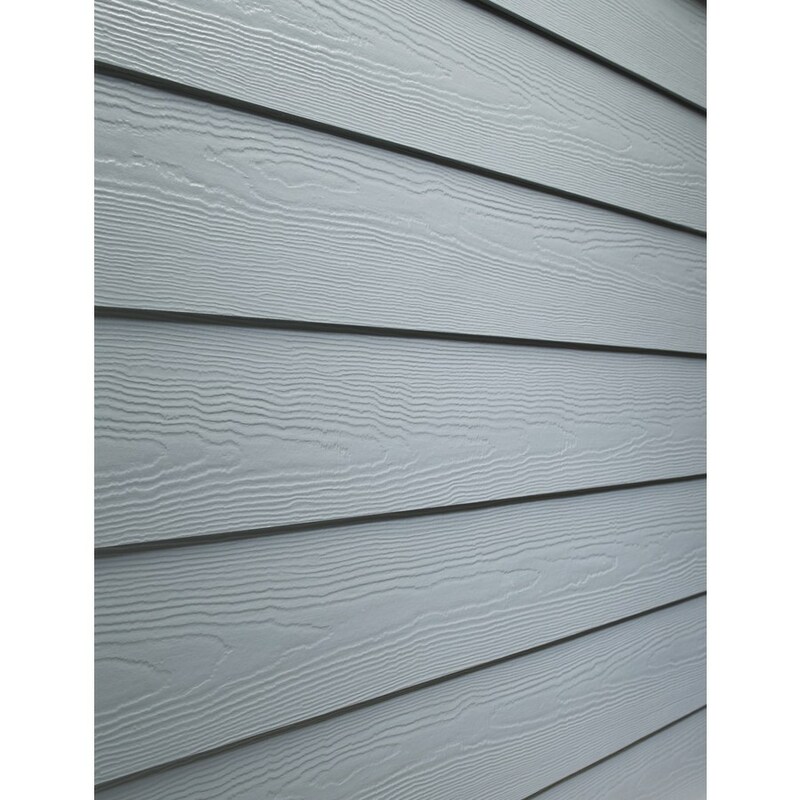 It would be wonderful if someday you could replace your exterior vinyl siding with Hardie Board, but back to the kitchen. I can see wanting to use materials that represent the original house. Wish you had pulled some of the ship lap out of those walls to use on your breakfast room wall. You will find the right solution. I just know you will. Have you tried a good old fashioned lumber yard instead of the home centers? I actually just called two local lumber yards. The first one doesn’t stock it, but they can order it. The second one said that they don’t have the shiplap siding, but they have something similar that might work. I’m going to try to make it over there this week to check it out. Hopefully it’ll be just right AND in my price range! i live in the historical district and we have to use the real wood. It Always looks like crap. I know a neighbor who made his own siding by ripping down strips of plywood and routing the one side. After 8 years his is the only one that I have seen that still looks great. The pre-made does not. It bows, twists and in general looks terrible. Have you checked ReStore??? I have seen it there…..
Ship lap looks similar to the tongue and groove pine flooring we bought at Lumber Liquidators. 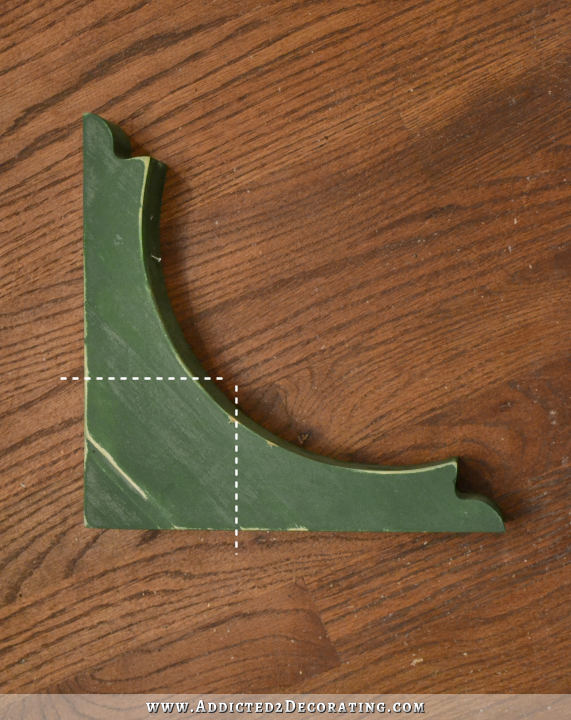 We used it horizontally above our fireplace but it would look great in your application, too. It was an inexpensive stock item and they let us pick out our boards. 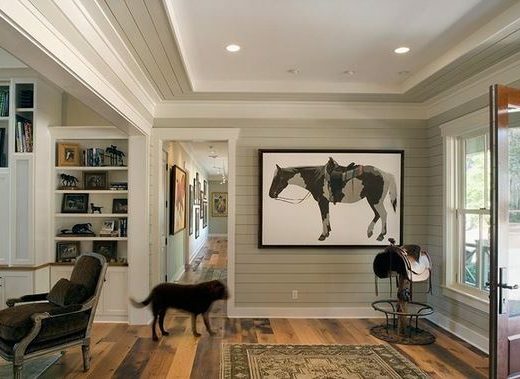 You know on the HGTV Show Fixer Upper that is filmed right there in Waco, they are always saving as much shiplap as possible, and what they don’t use right then, they save to use at a later time at a shop there in town. I believe you can reach them through their shop called The Magnolia Market, http://shop.magnoliahomes.net/ or the guy who does their woodworking named Clint Harp who works with the shiplap http://www.harpdesignco.com/ Maybe one of them can help you and they would be local. Hey, Kristi. Here’s a company in Dallas that carries reclaimed wood (flooring, siding, etc.) in just about any type, species, size, etc., that you could want; I’ve been there and they have a LOT of inventory. http://oldtexaswood.com/ Keep on keepin’ on and you find exactly what you want. And, don’t forgot about that CONDO project; the holidays are right around the corner – do you really want it to still be sitting empty come January 1, 2015? Take care. I meant to say that company carries shiplap in addition to flooring, etc. I know the shiplap you posted can be found in Texas. They used that on the ceiling of our outdoor patio. I am near Houston though. Your kitchen looks amazing! Love everything you do! I read your blog every day and have yet to comment, but I think its great that you’re working towards new health goals! My boyfriend just went on a diet, and he did it with a website called http://www.dietbetter.com/. Basically you make a bet (with actual money) with a group of people, and whoever in the group meets their weight loss goal gets a split of the pot! Aside from the members of each diet group being wonderfully supportive and motivating, what could be more satisfying than using the money you earn back from losing weight to fund your awesome DIY projects?? Just a suggestion! My boyfriend lost 10% of his body weight in 6 months, earned a couple hundred dollars in the process, and really enjoyed the friendly competition from the site! Good luck whatever you do! I follow all of your posts. I even did my concrete counter-tops using Z-counterforms because you made it look so easy, AND IT WAS! 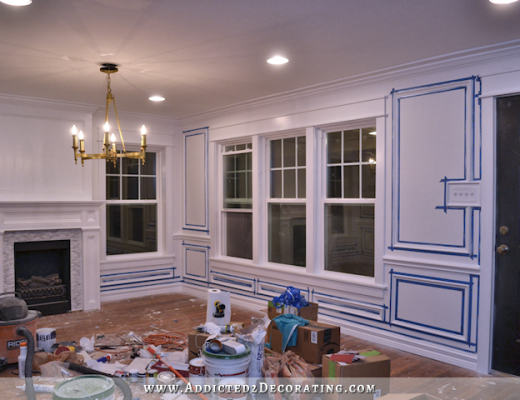 Just a note- You said you would like to install siding in the breakfast room, giving a nod to the homes history.Do you absolutely ADORE an addition that “looks like an addition”? When we’ve added rooms to our homes, it is always, first and foremost, to create a design that flows seamlessly, as though the new rooms were original to the home. If you simply want siding on the walls for the texture, and a bit of whimsy, then that is great, but if not, I, myself, would reconsider the siding. Continue on, you inspire us all. 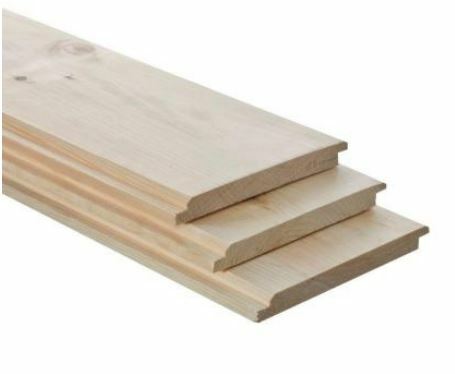 If you have a tablesaw or a router, it is quite simple to make your own shiplap. I’ve done it with basic pine.